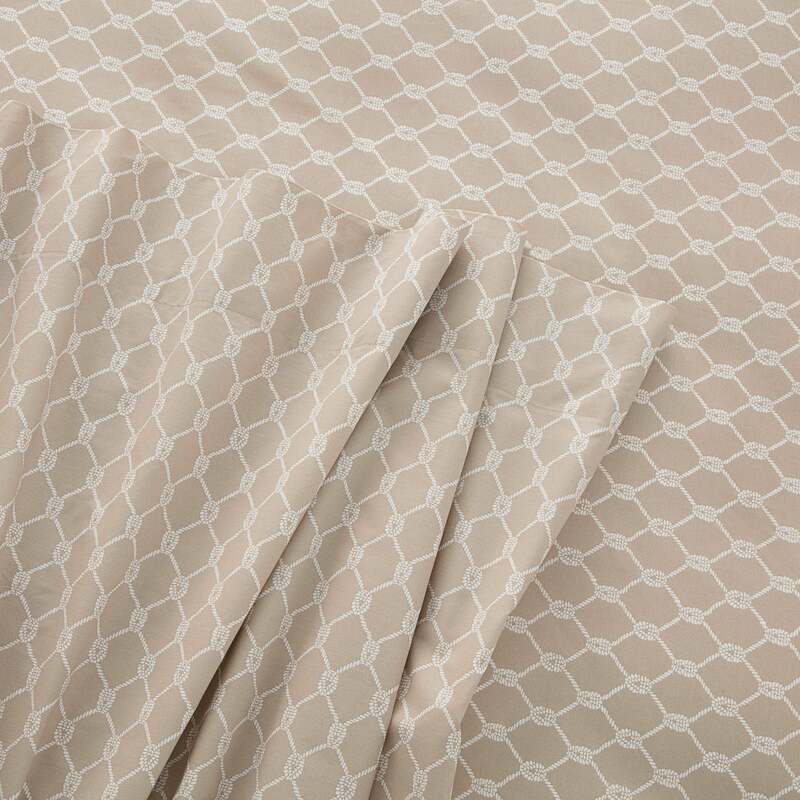 Add playful style to your bed with our Nautical Knots Khaki Sheet Set. 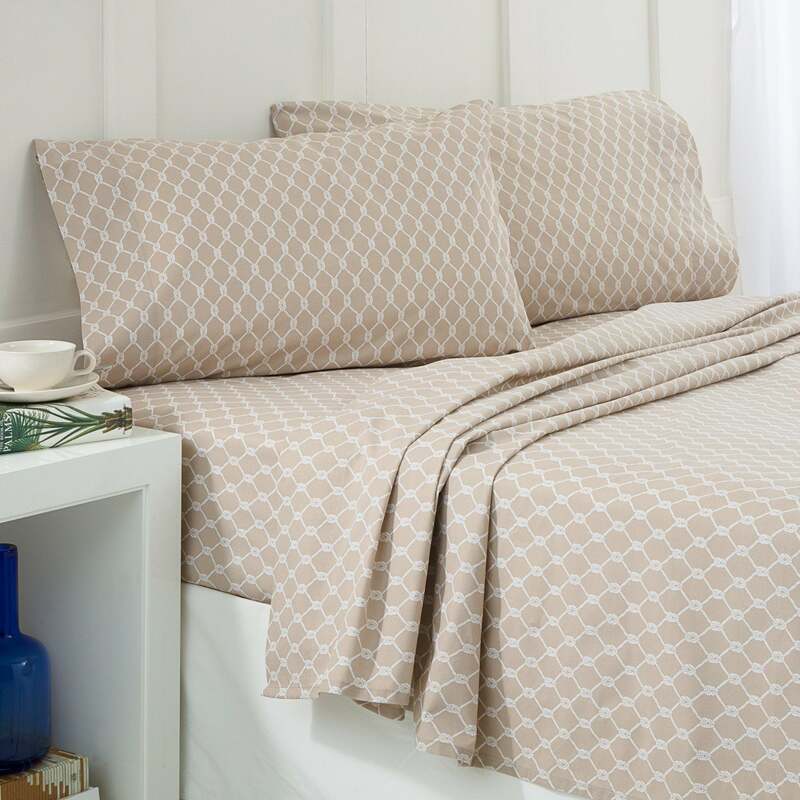 The 200-thread count, all cotton set includes a flat sheet, fitted sheet and pillowcase(s). With convenient design details like easy care and deep pockets on every fitted sheet, you can rest in total comfort all night and make your bed with ease in the morning.